The all-new Kia Sportage is a unique crossover SUV that offers the comfort and practicality you’d expect from a larger vehicle alongside surprising efficiency for its class. 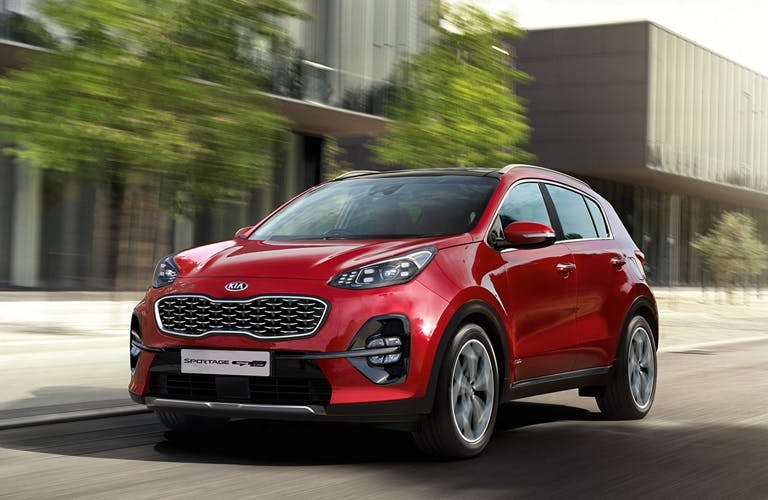 With modern styling, an array of advanced technology and a seven-year warranty, the new Sportage is perfectly suited to the modern driving experience. 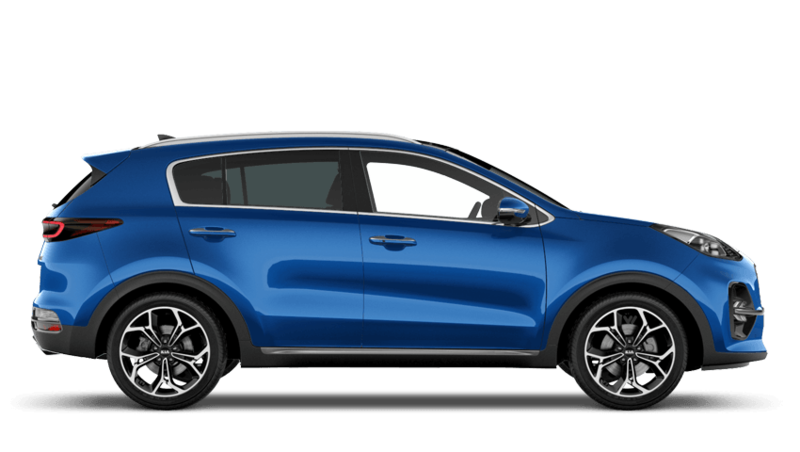 Discover all the latest New Kia Sportage offers currently available. Every detail matters, view the New Kia Sportage technical specification. 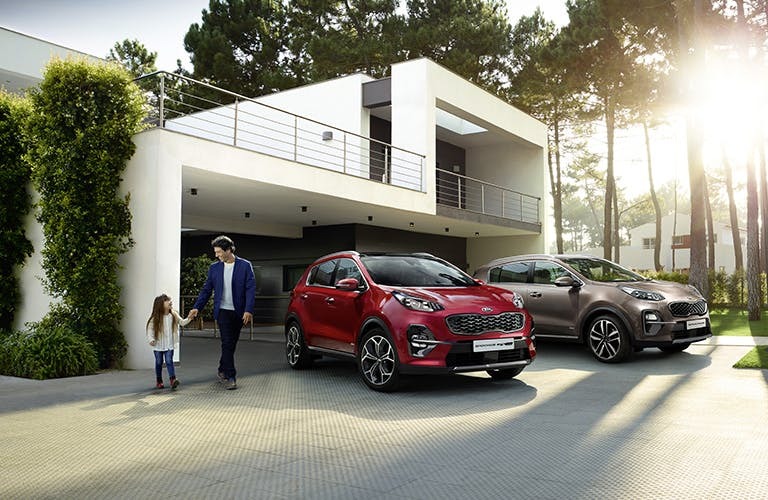 Download the latest New Sportage brochure. Refined aesthetic features are a key appeal of the new Kia Sportage, and represent Kia’s commitment to attention to detail. 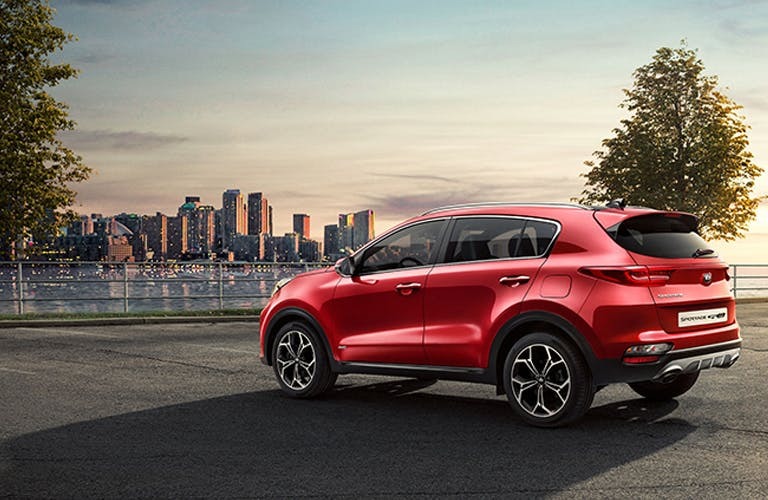 Carefully sculpted alloy wheels, daytime LED running lights, and tinted glass help the Sportage stand out on the road while also serving a practical purpose. A confident posture is provided by the vehicle’s raised position, with sleek front and rear lights adding a further modern touch. The infamous Kia grille is present, alongside a low bumper for an assertive look. 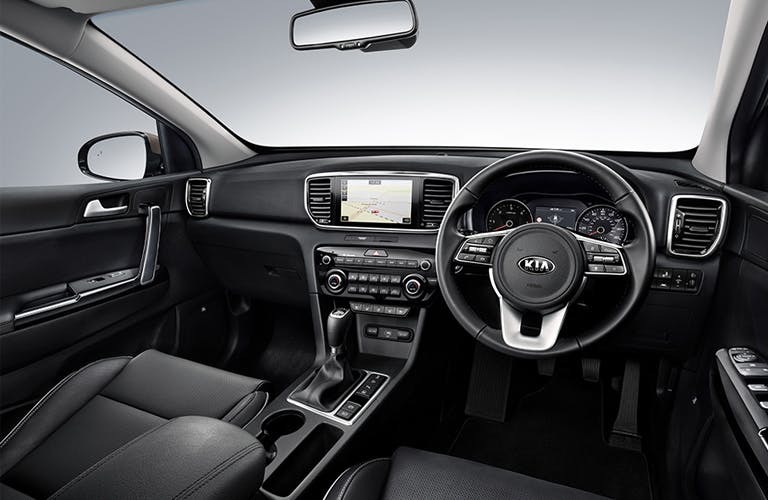 The cabin of the all-new Kia Sportage features a high driving position for maximum visibility. 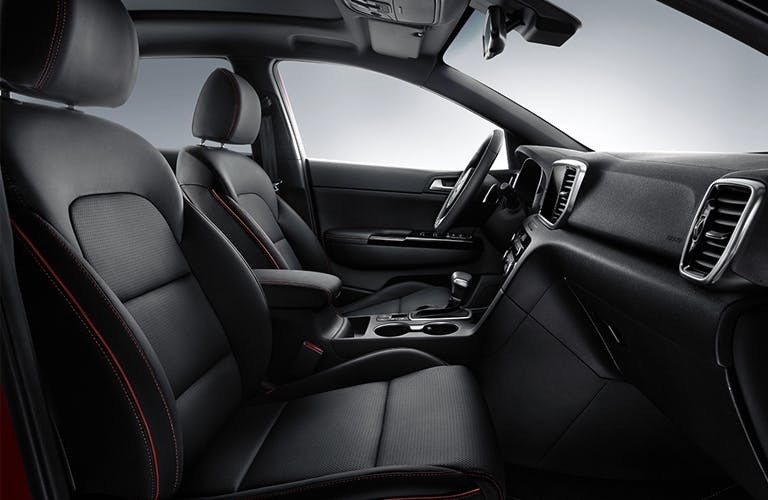 All vehicle occupants will enjoy the premium materials throughout, including luxurious seats lined with leather or cloth, leather-trimmed steering wheel, and metallic finish on the dash. Storage options are numerous, including in the centre console and doors. 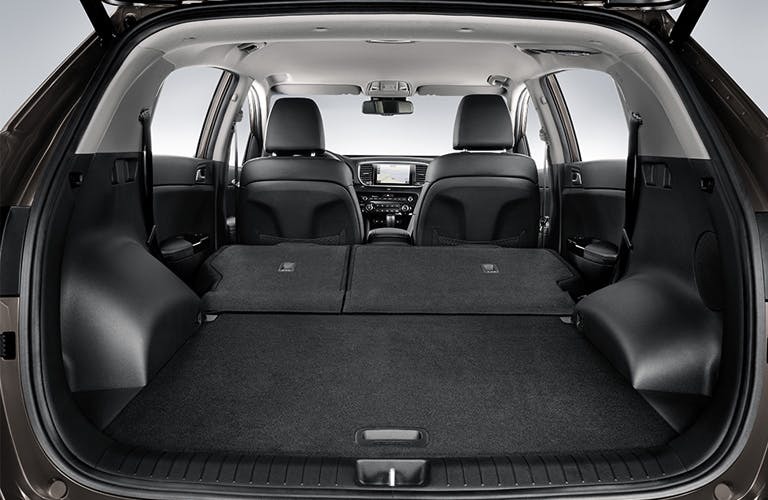 Model dependent, heated front and outer rear seats and ventilated front seats work to keep you as comfortable as possible. Standard equipment levels are generous in the new Kia Sportage, and each feature has been designed to assist you and enhance your motoring experience. Bluetooth with voice recognition control allows you to make and receive calls with ease. 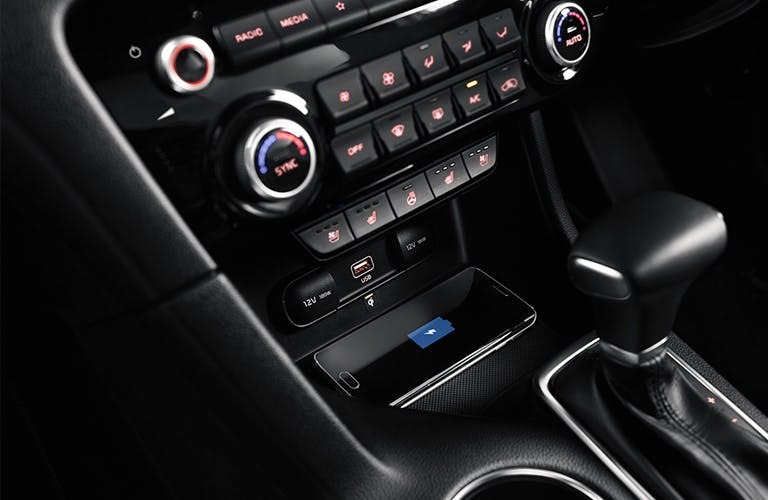 The RDS radio/CD player can be controlled via steering wheel-mounted controls, and you also have the option to connect your own device through the USB and AUX input ports. Trip computer, all-round electric windows and 12v power sockets also come as standard. 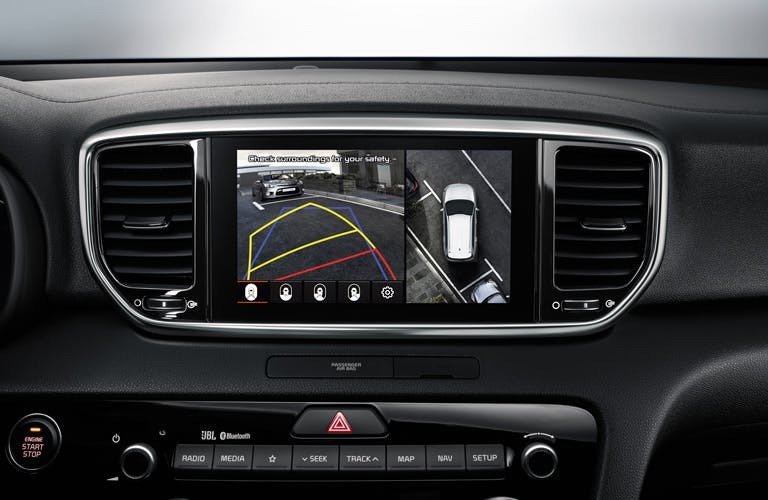 You’ll always feel safe and secure in the new Sportage. Twin front, side, and curtain airbags combine with height adjustable front seatbelts for maximum security, keeping the driver and passengers safe. A variety of advanced systems actively work to prevent collisions. The Speed Limited Information Function (SILF) automatically reads road signs, including speed limits, and shows the limit nest to the speedometer. You’ll find Anti-Lock Braking System and Hill-Start Assist Control all as standard. 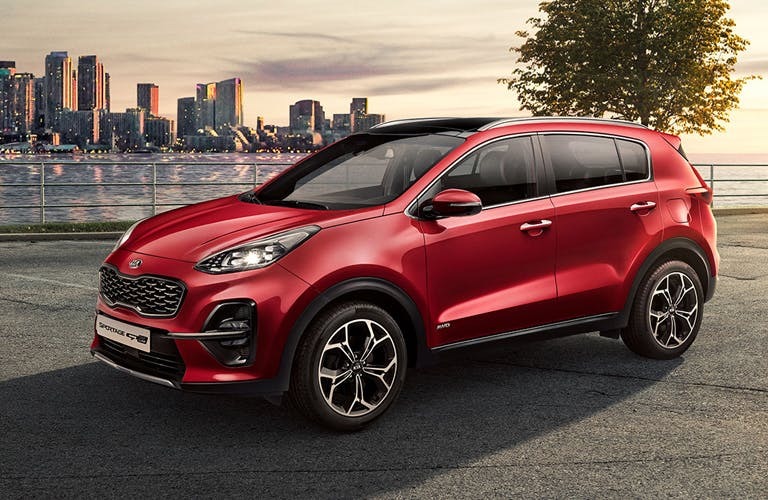 Discover the all-new Kia Sportage crossover 4x4 at Beadles Kia located in Coulsdon and Maidstone, and book a test drive today. of customers that bought an Kia Sportage would recommend to their friends and family. My experience at Beadles Kia Coulsdon was cracking because Rockell was great to deal with and attentive without being over the top and salesy, or cold and impassive. This is comparing him to the 4 or 5 other salesmen we spoke to over the weekend. It helped that the car was exactly what we were looking for. My experience at Beadles Kia Coulsdon was positive because it met all my expectations. I was happy with the service at Beadles Kia Coulsdon because there was a very pleasant ambiance to the showroom, Dominic, the sales guy was very accommodating and although my first choice car was not available another manifested which turned out to be better. My experience at Beadles Kia Coulsdon was cracking because The good and very friendly attitude. Beadles Kia Coulsdon were fantastic because they had what I wanted at a price I was prepared to pay, plus the salesman, Kevin Riley listed to my requirements and wherever possible met them without getting into a debate. I'd recommend Beadles Kia Coulsdon to anyone because helpful and friendly with excellent customer service. My experience at Beadles Kia Coulsdon was cracking because Rockel was very personable and experienced. He found what I was looking for within budget. Explore the New Sportage specifications.